There have been rumours that Camden was changing the rules on taking dogs into the cemetery, a popular walking spot for local dog-owners, but there had been nothing concrete. So WHL thought it would ‘doggedly’ investigate the issue. It appears that a change was indeed added to a piece of legislation introduced last February – a PSPO. This stands for a Public Spaces Protection Order and was introduced because of “complaints relating to the fear and intimidation caused when dogs are not controlled or misused by their owners. Such lack of control can result in attacks on other animals and, even though rare, attacks on humans can occur”. We weren’t aware that this was such problem with this in the cemetery. Rather the cemetery is a popular place for West Hampstead dog owners to take their (pretty well mannered) dogs for a short stroll. Most do take their dogs off the lead, but they keep them under control, as their dogs potter beside them. WHL was there this Sunday mid-morning and in the space of ten minutes spotted 6 or 7 dogs being walked, most off the lead. When we spoke to their owners, they were aware that it was a cemetery and responded accordingly; putting the dog on the lead if someone was tending a grave, picking up after their dog and keeping them under control. But they were also wanted somewhere they could walk their dog and especially for those without a car there were few other options. The PSPO replaces Dog Control Orders which were introduced in 2007, they superceded the existing bylaws that previously required dogs to be on leads in the cemetery. Camden says this was unpopular and cause for concern for the Friends of Hampstead Cemetery and ward councillors at the time. Again, this is news to the ward councillors. It was also suggested that “this would prevent the distress experienced by people visiting graves. It would also make it easier for Officers to issue fixed penalty notices (FPNs) for dog fouling”. Camden Parks department reported that it had “many reports and complaints about dog fouling and dogs running over graves in recent years”. This was news to the Friends of Hampstead Cemetery which said that there had been a complaint every now and then, but not many. And local Councillor Lorna Russell said that she hadn’t received a single complaint about dogs not being on leads in the cemetery, so the issue wasn’t on her radar. Cllr Rea a former councillor responsible refused in the past to include a clause to let all dogs be in leads in parks, which it is what her officers had then recommended. This just wasn’t realistic. As for dog-fouling we are not aware of any FPNs actually being issued. 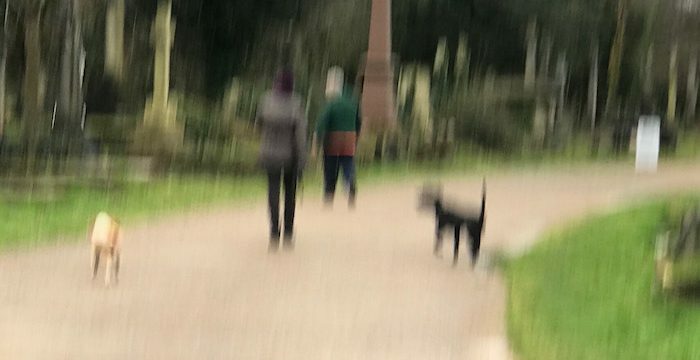 Instead, the Friends of Hampstead Cemetery agreed that in recent years dog owners have become much more responsible about picking up any faeces ‘deposited’ by their dogs. The Friends said that the main area of concern was that at the back of the cemetery, where some dog owners would play fetch by throwing balls for their pets, but a simple ‘no ball games’ sign would have been enough. It also seems to have grown as there are a few ‘professional’ dogwalkers who should know better. 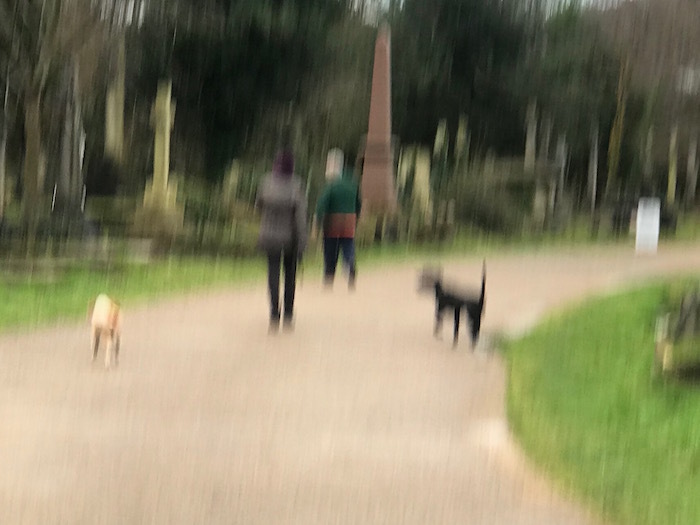 The majority of the visitors to the cemetery are dog walkers so rather than alienate them it would seem far more productive to positively engage with them, as they act as the eyes and ears to report problems, rather than alienate them as Camden have done. Camden Parks department also claims that the legislation was introduced following ‘consultation’ but again no-one seems to have been aware of it. Cllr Rea and Russell weren’t actively informed until after the legislation was in place, but even then it still isn’t clear. The other problem with the new approach is that there is ‘no enforcement’. Camden simply doesn’t have the resources – and given that Camden is having to make savings to the budget it’s is difficult to see them getting them. WHL thinks that given the pros and cons of the matter, it was probably better to let sleeping dogs lie. Tom does it Mon Way What have you missed since January 22nd?